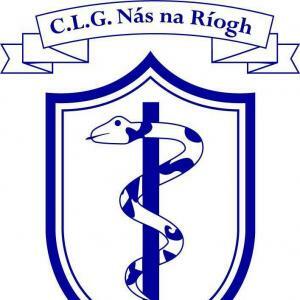 Read on for fixtures, results and all the latest news from Naas GAA! What an exciting weekend ahead for the club and town as Naas CBS tomorrow play in the Post Primary All Ireland Hogan Cup Football Final. It is an amazing achievement and Naas GAA are hugely proud to have so many of their members involved in the team both as management and players. On behalf of the entire club we would like to wish the team the very best of luck and we look forward to welcoming the team back to Naas GAA on Saturday evening. Naas GAA is embarking on an ambitious development plan for the club over the coming months and years. This plan will see improvements happening around the club pitches and clubhouse for the benefit of all of our members. The first phase of this project will involve the development of the recently purchased Laundry Field by extension of the Juvenile canal pitch into a full size playing facility. Our first fundraising event of the year takes place on 25th May 2019 when Naas GAA will host Ireland's favourite social media funnyman and best-selling author Rory's Stories. Rory O Connor will present his debut National Live Comedy Tour right here in Naas GAA Club. Tickets cost €16 and are on sale NOW on our club website. Don't miss out on a fantastic night's entertainment! Registration night April 6th in Naas GAA, 5.30-7pm. All welcome! U12 Football Tournament Table Quiz Fundraiser. There will be a fundraising table quiz on Friday the 12th of April in Naas GAA at 8pm. Tickets available from Gerry Kelly €40 per team of four or €10 each. Some Fantastic spot prizes up for grabs...not to be missed. All support appreciated. This year Naas GAA will hold a Football Camp from 15th – 18th April and a Hurling/Camogie Camp from 23rd – 26th April. Registration for the football camp is available online on our website. The Registration form for the hurling/camogie camp is available from mentors or can be downloaded from club website. Best of luck to Fiona Trant, Kelly Perkins, Maria Doyle, Aoife Fitzgerald, Sarah Cullen and the Kildare Camogie team who play Roscommon in the division 3 league semi final on Sunday 7th April in Birr at 3pm. The Kildare Ladies play Sligo in Tubbercurry at 2pm on Sunday also.